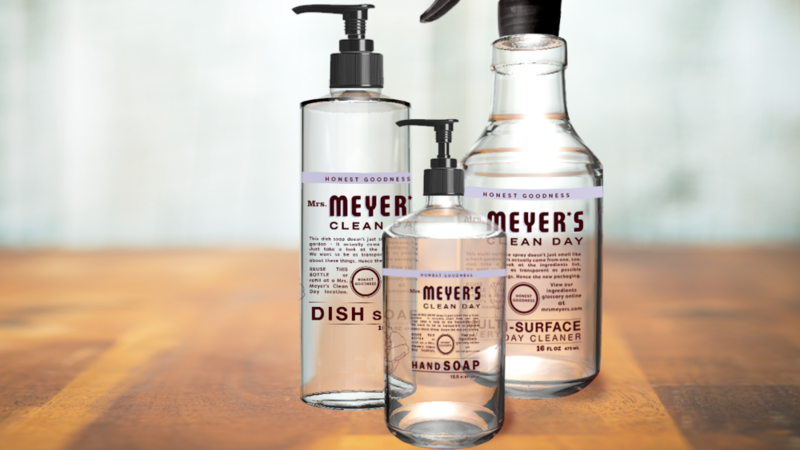 Mrs. Meyer’s cleaning products are equal parts powerful and pleasant. 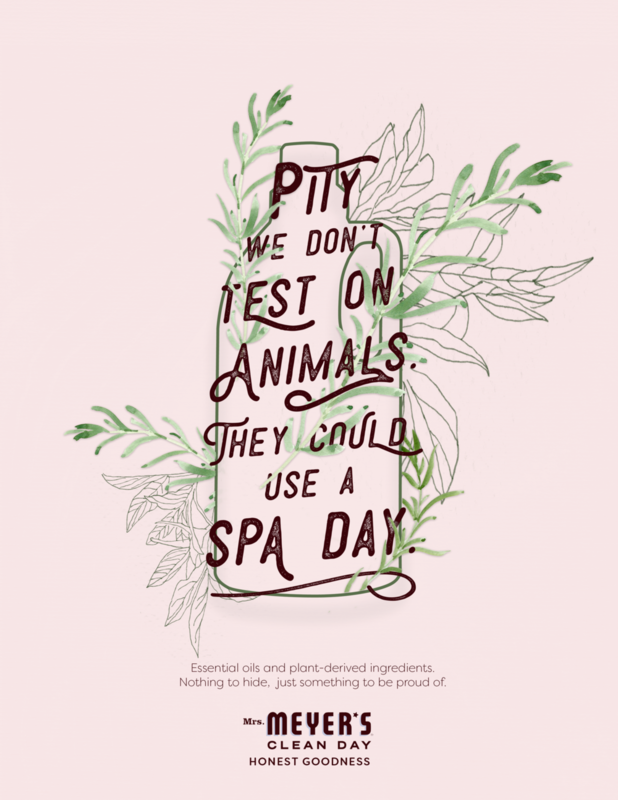 But one of the most overlooked things about the product line is that they’re made with some of the most natural ingredients available. Insight: Mrs. Meyer’s proudly lists every ingredient and how each benefits your home right on their website. Strategy: Establish Mrs. Meyer’s Clean Day as “that wholesome/honest cleaning company” in an industry of chemical-filled cleaners." Concept: Mrs. Meyer’s uses such natural ingredients that they have nothing to hide. Walk it like they talk it. 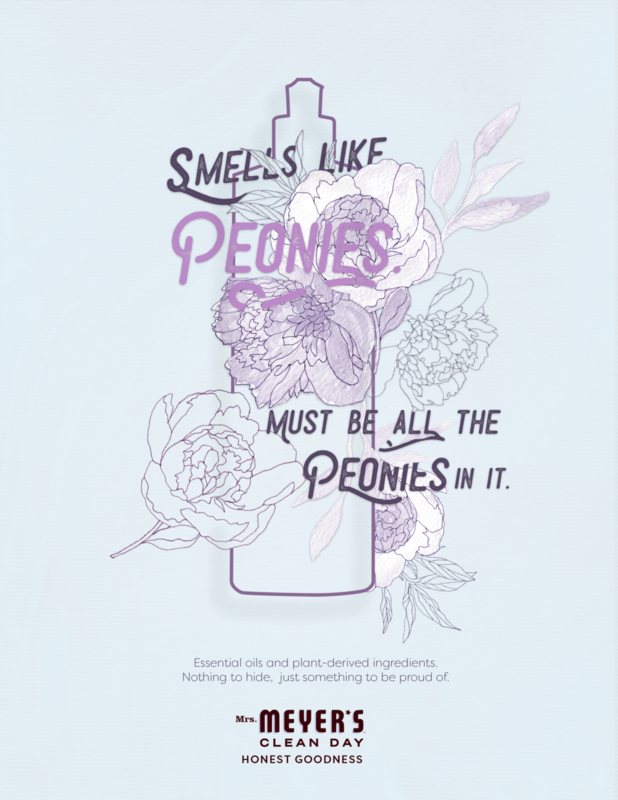 Show the extent of Mrs. Meyer’s honesty with an in-store display filled with the actual ingredients, new, fully transparent packaging, and a print insert with a concentrated dose of Mrs. Meyer’s on a cloth page to be removed and used as a sample wipe when activated with water. A garden masquerading as a pop-up shop. 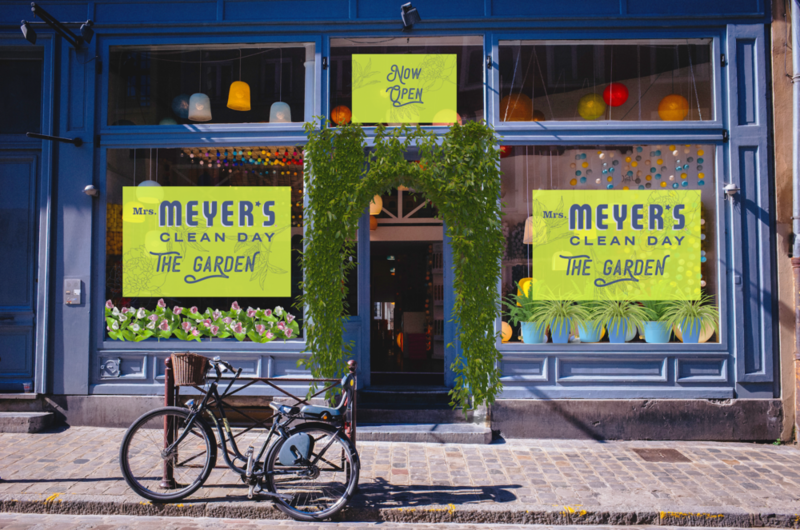 Create the first Mrs. Meyer’s pop-up shop, called “The Garden” where shoppers can learn more about the natural ingredients that go into the product and see/mix their own concoction. Influencers using their powers for cleanliness. Create a social movement and generate content with the #FloorfieChallenge, tasking fans to mop their floors with Mrs. Meyer’s Clean Day and proudly show the results.